If you want your special day to be truly perfect, it is important that you make a point of selecting the right perfume. With so many different options to choose from, you will need to consider a few key things before making a final decision. Choosing the right scent can make a big difference when it comes to putting together an elegant presentation of yourself when walking down the aisle. It is imperative that you select a scent that is appropriate for a wedding, because not all of them are. A floral-scented perfume is always a safe choice, and there are many of them to choose from. Look for perfumes that have a hint of rose or violet in them. You want the perfume you choose to be noticeable yet understated at the same time. You don’t want to use your everyday fragrance for your wedding, because this is a very special occasion. You will want to find an original perfume for women so that your scent is very distinct and not quite so ordinary. Every woman should feel special on her wedding day, and part of that is selecting a kind of perfume that is truly unique. Perfumes that have a high oil content tend to last longer, which you will definitely be glad for when you are dancing the night away at your wedding reception. Water-based perfumes don’t tend to last very long, and ones with a high alcohol content can actually irritate your skin. If you want to avoid a full-blown skin breakout just before your big day, you will need to keep this in mind. It’s always a good idea to look for a fragrance that will match the flowers at your wedding, especially the bouquet that you carry down the aisle. This will make it so that you don’t stand out too much while still smelling great. There will be a fragrance that can go well with just about any flowers you might have if you search around. Keep in mind that you don’t necessarily have to match your flowers exactly but choose a scent that complements them. When you are testing out different perfumes for your wedding, simply spray a bit on your wrists and neck. You really won’t know exactly how a certain fragrance is going to work for you until you actually spray it on. Make sure that you give yourself enough time to go around and look through your options so that you don’t feel compelled to rush into a final decision. 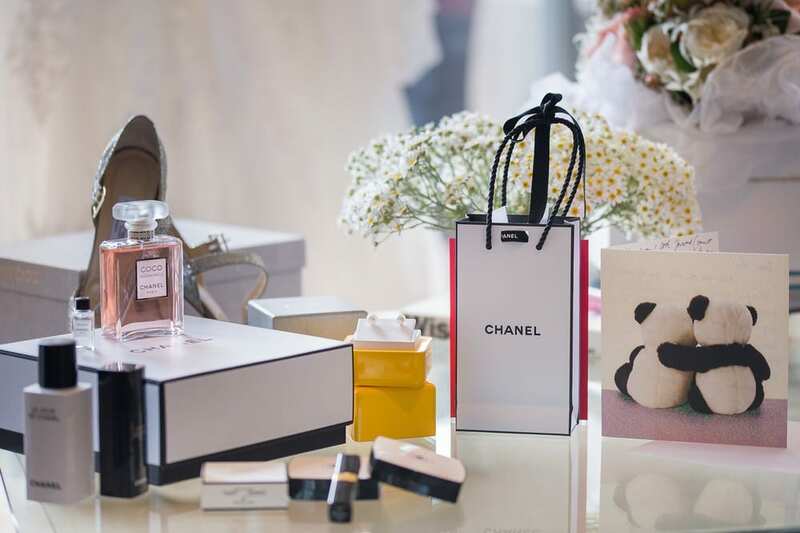 You will certainly want to make a point of finding the right perfume for your wedding, as it is a very important detail that should not be overlooked. The fragrance you choose will affect how your guests perceive you when you walk down the aisle, which is all the more reason to take your time with finding the right one.